Do you doodle? Do you draw squiggles and squares and speech bubbles or maybe cartoons and quirky characters whenever you get a spare moment? Perhaps your doodles are all about patterns. Whatever your doodling involves, you're going to want to know about this fantastic competition. Crayola and Scholastic are on the hunt for the best doodler in Australia! The winning artist will receive a year's supply of Crayola art products. After a successful partnership in the UK, Scholastic Australia is now teaming up with Arts and crafts brand Crayola to launch a hunt for the best doodler in Australia. The latest initiative is being launched in celebration of the latest installment of the Tom Gates franchise hitting retail stores in May 2014. Open to all ages, the competition calls on entrants and budding artists to 'out-doodle' Tom Gates, drawing anything they like in their own unique way. 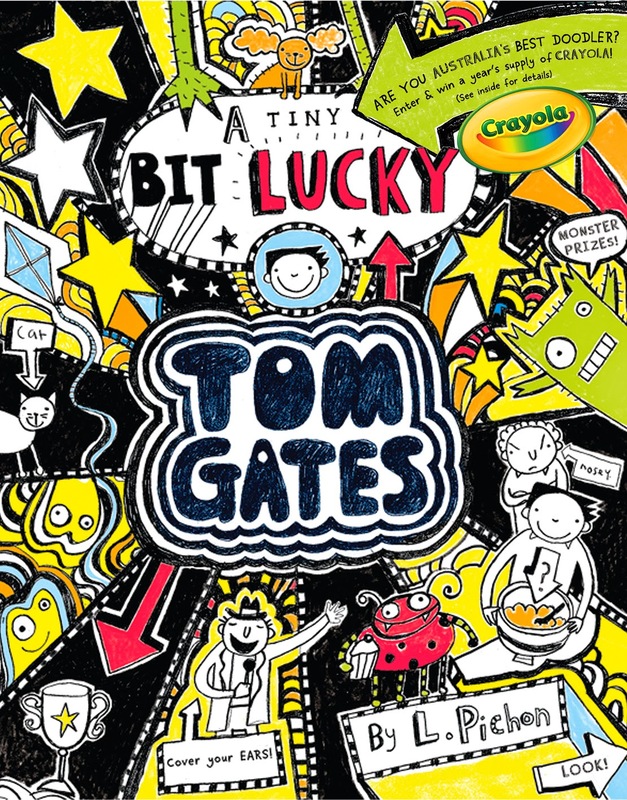 The competition will feature on the Tom Gates #7: A Tiny Bit Lucky front cover as well as inside, and will be supported via Scholastic and Crayola's online and social media channels. You can follow all the latest updates at the Scholastic Australia Facebook page or get more details at the Scholastic website. Entries close on the 31st August 2014. The winning work of art will be chosen by the author Liz Pichon and will receive a Tom Gates prize pack along with a year's supply of Crayola art supplies. The winner will be anounced on 6 October 2014. Richard Venner, Crayola's senior brand manager, said: "It's a great piece of activity that links perfectly to what Crayola is all about and the theme of the Tom Gates books themselves. "The end results from competitions like this never stop to amaze, and it's always fantastic to see how our target audience use their imagination to express themselves."